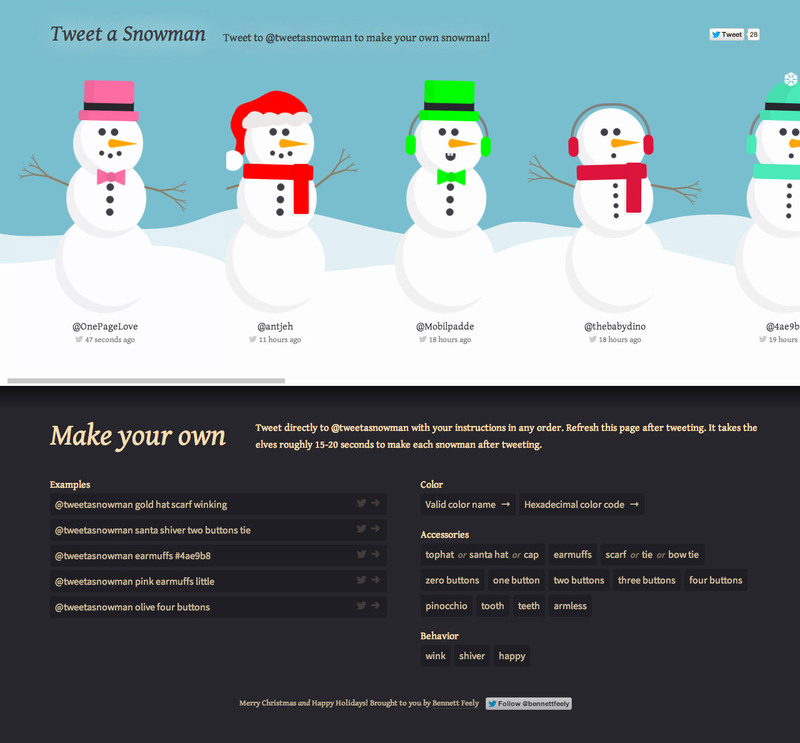 Experimental and fun One Pager that creates a snowman based on the variables in your tweet to @tweetasnowman. The variables are listed on the One Pager, give it a go! This website allows you to create your own HTML/CSS/SVG snowman by tweeting to @tweetasnowman with your desired accessories and color.